One of California's most famous Merlot producers, Duckhorn debuted with Merlot way back with the 1978 vintage! Dan and Margaret Duckhorn had the idea of making Bordeaux-styled wines with Merlot as the centerpiece. They had a fellow named Tom Rinaldi as their winemaker and the wines were "must-haves" back in the early 1980s. 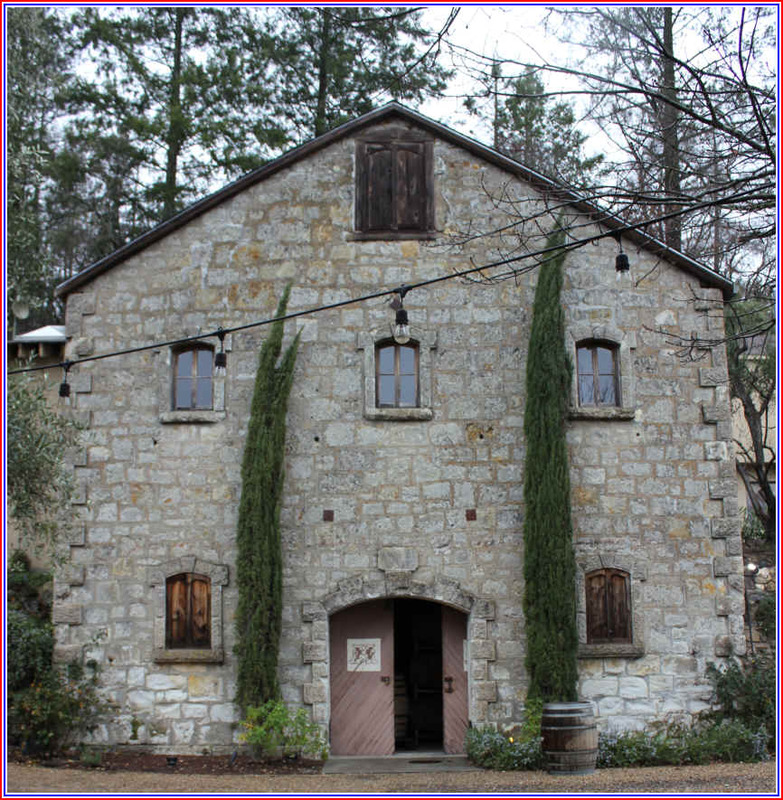 Rinaldi stayed until around the year 2000 before taking a job with the Chalone Group and its Provenance winery...today the winemaker at Duckhorn is a woman named Ren�e Ary who's been at the helm since 2014. In 2007, with the original investors wanting to cash out, Duckhorn was sold to an investment firm in San Francisco called GI Partners. 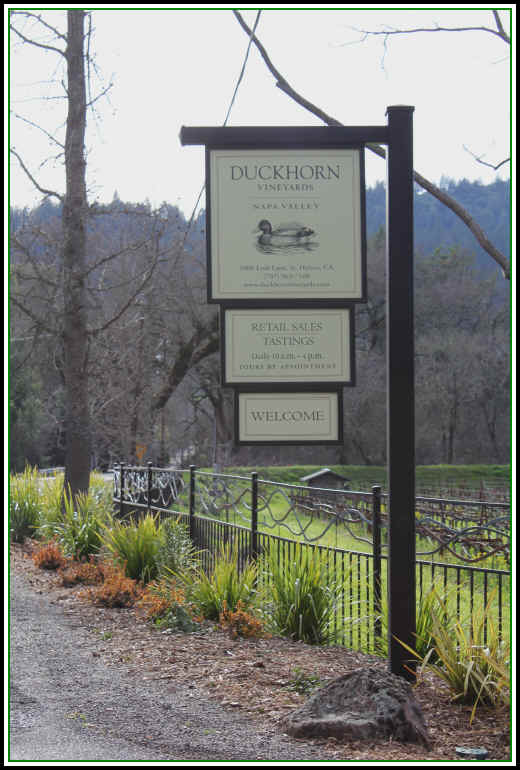 They actually ran the winery with care, it seems, though the Duckhorn "empire" was grown to include additional winery properties and a vast quantity of vineyard acreage. 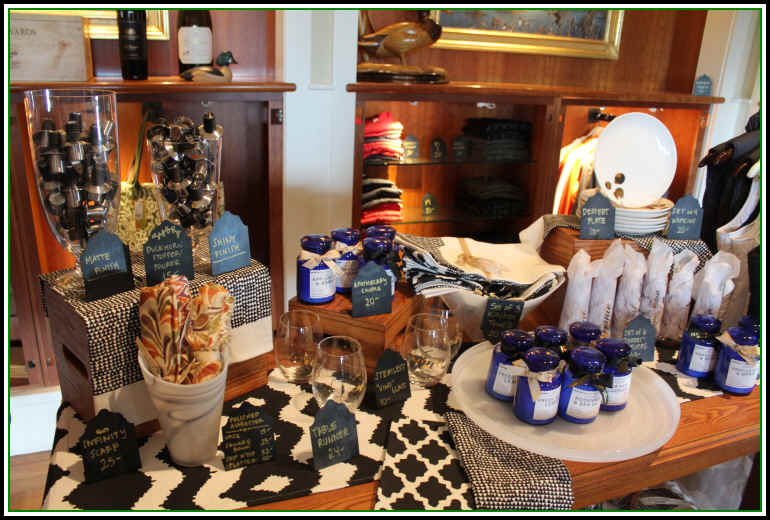 GI Partners sold Duckhorn to TSG Consumer Partners (and acquired the Far Niente winery). TSG also owns quite a stable of consumer brands and franchises: Comet cleanser is theirs as is Famous Amos cookies, Mauna Loa macadamia nut products, Planet Fitness exercise gyms, Pop-Chips and Stumptown Coffee to name a few. So, yes, things have changed but they still are making good wines. Duckhorn's tasting facility along Napa's Silverado Trail. Their grapes come from several locations around the Napa Valley, including the famed Three Palms Vineyard near Calistoga. In fact, the Duckhorns ended up handling the farming work at Three Palms before finally buying the property in May of 2015. That site was once owned by Lillie Hitchcock Coit of Coit Tower fame. In 1967 the land was purchased by John and Sloan Upton. Duckhorn's first single-vineyard bottling of Three Palms Merlot was in the late 1970s, if we recall correctly...and it retailed for the astonishing price of $12.50 a bottle, maybe four or five bucks more than the "regular" Napa Merlot. The wines were, back in the old days, much sought-after and hard to find. The production has grown considerably and the wines still remain at a good level of quality. The early vintages were of modest alcohol levels and had reasonably good levels of acidity which allowed them to age handsomely. We attended a tasting ages ago where they opened bottles going back to the first vintages. The wines actually were quite good and the matured beautifully. Tasting the new vintages one could see how Duckhorn followed the trend in California of making wines with more potency and darker color. The "regular" bottling of 2015 is quite bright and has a hint of wood. This is a really "fine" wine. I'm impressed by how polished the wine tastes at this stage and imagine it will age for a few years, too. If you buy into the notion that Merlot is simply "weak" Cabernet, this wine may change your mind. It's more complex than a good many nice Cabernet wines. The Three Palms Vineyard was replanted in the 1990s and the youngest vines there went into the ground in 1999. Wine from this vineyard is remarkable. We have tasted probably every vintage of Three Palms and routinely have felt this is California's top Merlot. In late 2017 a wine journal selected the 2014 Three Palms as its wine of the year. The publication rates wines on a 100 point scale (as though one's appreciation of a wine can be quantified with a numerical "score") and yet a Cantina del Pino Barbaresco costing 2/3s the price of Duckhorn's had a 97 point score, the second-highest rating of the wines on the list. A Clos des Papes Ch�teauneuf-du-Pape earned a 98 point rating and yet it was only in 14th Place on this list. Given that Duckhorn Three Palms has long distinguished itself as a reference point for California Merlot, we might ask "What took these critics so long to recognize this?" The winery has been making a second label called Decoy, but these wines don't reach the level of quality of the Duckhorn wines. The Shafer family purchased a couple of hundred acres of property in the Stags Leap are back in 1972. John Shafer had been in the publishing business and something about farming lured him to this site in the Napa Valley. The family planted some grapes and was selling fruit before making their own wine in 1978. I recall visiting the place and finding this wine to be quite a good Cabernet: rich, cedary, woodsy and supple...most attractive in its youth. They later added Merlot (amongst others) to the portfolio. Their early vintages of Merlot were certainly pleasant, but simple and a bit fat and flat. Over the years Shafer Merlot has developed most handsomely. It is a rather deep wine with ripe fruit notes and a touch of oak. I'm not sure I'd suggest cellaring these for any great length of time, but for short term drinking (three to eight years from the vintage date), this is an attractive Merlot. Apparently selling a wine labeled "Merlot" had proven to be challenging and there's certainly plenty of competition in that market segment. Shafer found some farming equipment in an old building on his new property and decided to take the old International Harvester TD-9 for a spin. The Shafer family describes John Shafer's move from Chicago where he was in some sort of publishing business job to the Wild, Wild West as a sort of gamble. And so they're making this new Merlot/Cabernet blend that's named after the old tractor that was parked in a shed. The wine is quite good, too. The 2015 vintage has 28% Cabernet Sauvignon and 16% Malbec. We like the dark fruit notes...blackberry and maybe a hint of blueberry. Add to the mix some nice oak. Mildly woodsy and cedary...it's drinkable now and should hold up for a few years, though we don't view it as a wine that needs additional time. A fellow came in the shop two years ago, perusing the selection of "best buy" wines near the entrance to the store. I asked if I could be of assistance and he said "No...I'm in the wine trade. I'm fine." A few minutes later the fellow shouted out "Shame on you! Shame on you for not having John Shafer's lovely Merlot in the store!!" I was shocked by this, since we do, of course, usually have Mr. Shafer's lovely Merlot. It turns out this rube was a grape grower and sells his fruit to Shafer. Had I been quicker and more acerbic (than usual), I'd have scolded him with "Shame on you! Shame on you for charging Mr. Shafer so much for those grapes." The Silver Oak Cellars family, the Duncans, launched another brand of wine called Twomey. Since Silver Oak is devoted solely to Cabernet Sauvignon, the Twomey label offers Merlot, Sauvignon Blanc and some Pinot Noirs. The brand name is that of Raymond Duncan's mother's maiden name. The long-time winemaker for Silver Oak, Daniel Baron, had spent some time in Bordeaux many years ago and was interested to put his knowledge to good use in Napa with producing a Merlot. Being a fan of St. Emilion and Pomerol wines, Baron was anxious to produce a California Merlot which reflects its origins, but respects the benchmark wines from Bordeaux's Right Bank. The 2010 is a medium-full bodied Merlot...you won't find the wine to be as overtly woodsy as are the Silver Oak Cabernets. It's nicely drinkable presently and ought to hold up well for another decade, or so, well-stored. There's a dark fruit component reminiscent of black cherry and dark plum. A faintly woodsy quality adds complexity to the mix. It's a lovely bottle of Merlot and quite a bit different from the Silver Oak style of Cabernet. Lateral is a side project by Marty Mathis, who runs the Kathryn Kennedy winery in the Santa Cruz Mountains. He launched this Lateral brand with his friend Chris Condos who's affiliated with the Vinum brand of wines and the Horse & Plow winery. It's predominantly Napa Valley Merlot with about one-third of Cabernet Franc. This is a below-the-radar label but the fellow who runs the show has extensive experience in the grape growing business. Doug Hill is from Sonoma's Healdsburg and his family was involved in agriculture. He went off to Fresno to study Plant Science and then bopped around South America after getting his degree. When he returned to Sonoma he signed on at the Sonoma Cutrer winery when that was a brand new enterprise and there he learned the ins and outs of viticulture. From there he worked in Napa for the Jaeger family who were involved in the prestigious (at the time) Freemark Abbey winery and the Rutherford Hill brand. Hill started a vineyard management company called Oak Knoll Farming and today it's under the umbrella of Doug Hill Vineyard Management. He works with a nice range of wineries, including Duckhorn, Ramey and Silver Oak. Hill owns 120 acres of his own vineyards and in 2001 he launched his own label. We've found their wines to be rather stylish and of good quality. The 2014 Merlot is called Beau Terre Vineyard, but it incorporates grapes from Oak Knoll, Carneros and Atlas Peak. This vintage has 8.5% Malbec and a splash of Cabernet Sauvignon. French and Hungarian wood provide a measure of sweetness on the bouquet and the wine shows dark berry fruit to match the oak. It's a fairly full-bodied and nicely concentrated Merlot. We like the wine for short term drinking and aging. It may last nicely in the cellar, but it's pretty flashy right now. This may be the best Napa Merlot you've never heard of. 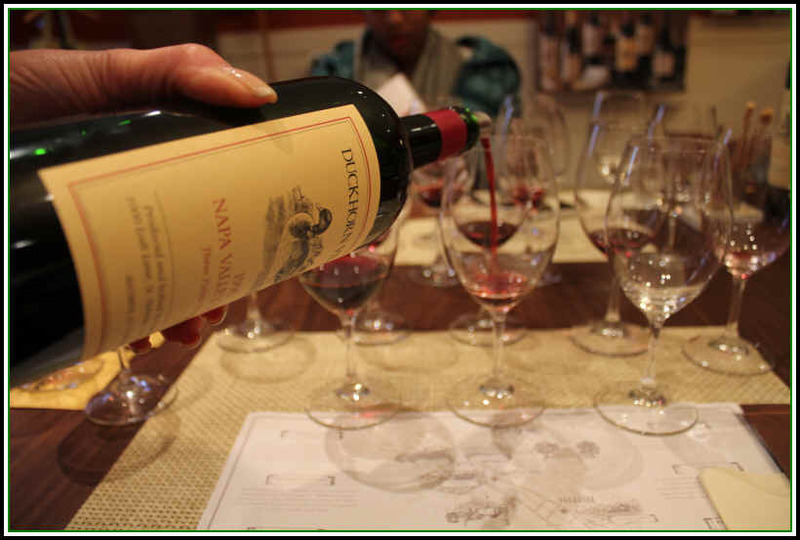 The Mayacamas winery has long been known for Cabernet Sauvignon, but they started making Merlot on its own some years ago and it's a most interesting wine. The winery came into prominence in the late 1960s and early 1970s when a feller named Bob Travers ran the place with his wife Elinor. They had purchased the property from Jack & Mary Taylor who gave the estate its name. A bit of Merlot is blended into their famous Cabernet Sauvignon and they make but a small amount of this on its own. The vineyards are roughly 30 years of age and are situated about 2000 feet above sea level. The grapes tend to be smaller than valley floor-grown fruit. The resulting wine is beautifully intense and a bit shy and reserved in its youth. It's matured in large oak foudres for just less than two years. The wood is used to mature the wine, not to season it with oak fragrances and flavors. As a result, it's a wine that is less flashy and immediately forthcoming like so many California red wines. We like the red fruit tones in this wine, reminding us of red berries and dark plums. The 2014 is certainly showing well presently, yet it probably can be set aside for another 5 to 10 years to allow it to really blossom. As they don't make much of this and since the Mayacamas Cabernet is a rather iconic Napa Valley wine, this wine is a bit under-the-radar. It's less than half the price of the famous Cabernet, another point in its favor. 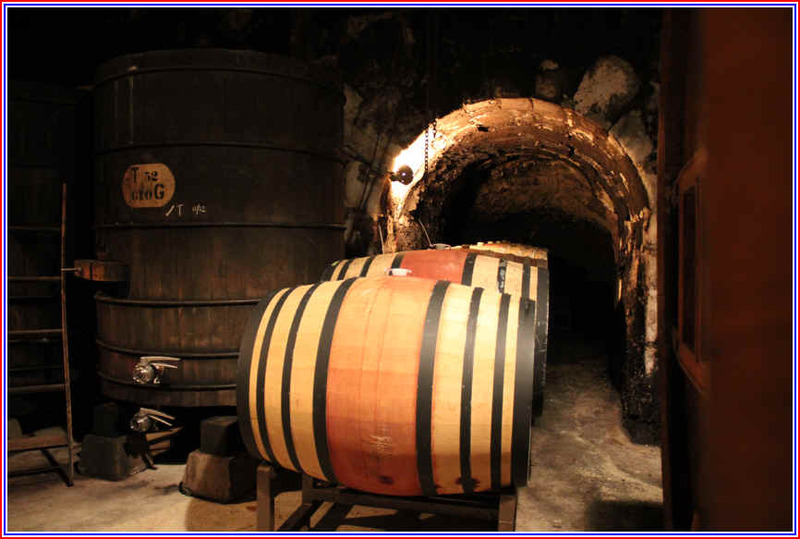 There is not a cellar full of small, new French oak barrels at Mayacamas. The wood is used to allow the wine to develop without picking up lots of oak fragrances and flavors. John Williams is a big proponent of sustainable farming. He makes some terrific wines which are very food-friendly since they're routinely under 14% alcohol. 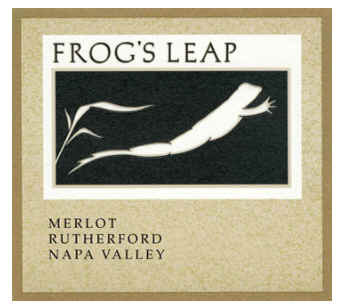 Merlot grows nicely in Rutherford and Williams has a substantial vineyard of it near the Frog's Leap winery in the eastern part of the valley. The clay soil is ideal for Merlot, especially one that's nicely balanced and immediately drinkable. Williams understands the ins-and-outs of making Merlot. First, of course, it begins in the vineyards. But in the cellar, John explains you can't make Merlot as some sort of "Cabernet Lite." It's not the same as Cabernet Sauvignon and requires attention to detail and a sensitivity to the base wine. In some vintages he'll blend in both Cabernet Sauvignon and Cabernet Franc, providing the wine what it needs to be something interesting and complex. The 2014 is the current vintage. It's got 6% Cabernet Sauvignon and no Cabernet Franc this year. Medium-full bodied, the wine displays lots of red and some black fruit aromas with a hint of wood. John is mindful of the level of oak in his wines, so he tends to use the barrels for maturation, development and a touch of "seasoning" for the wine, rather than making it the central theme. We like the wine and expect it will continue to develop over the next 5 to ten years. It's quite lovely now, though. And it's all of 13.4% alcohol, well lower than most of the fruit bomb wines which garner high scores from those who assign numerical ratings to wine. As a result, those critics often miss touting this wine. Rombauer was a former airline pilot-turned wine baron. He flew in the California Air National Guard before taking a piloting job with Braniff International Airways. In the early 1970s he was able to buy some land in the Napa Valley and when he wasn't in the air, he was learning about wine. In 1980 he was able to make some Cabernet Sauvignon and a couple of years later he produced a Chardonnay...the wine changed over the years and today it's the height of sophistication for many wine drinkers. Koerner Rombauer passed away in May of 2018. Rombauer Chardonnay is much derided by people who think they know a lot about wine. Koerner's Chardonnay turned into a wine which has a distinctive spice note from its aging in American oak and because it has a bit of sweetness, making it a nice little cocktail-of-a-wine. Yes, it's not Puligny-Montrachet, but it's not intended to mimic great French white Burgundy. Merlot, though, is made in a fairly typical fashion, unlike their wines which have a bit of sweetness. This is actually dry. Rombauer Merlot is a wine which seems to appeal to those looking for something soft, full-bodied and not too tannic or oaky. The 2014 vintage is their current release. Twenty-one percent Cabernet Sauvignon and 2% Petit Verdot. It displays a nicely woodsy tone, having been matured in 40% new French oak. By the way, Koerner's great aunt authored a major American cookbook: The Joy of Cooking was printed in the 1930s and written by Irma Rombauer. She passed away in 1962, but the book has been updated periodically by her heirs. 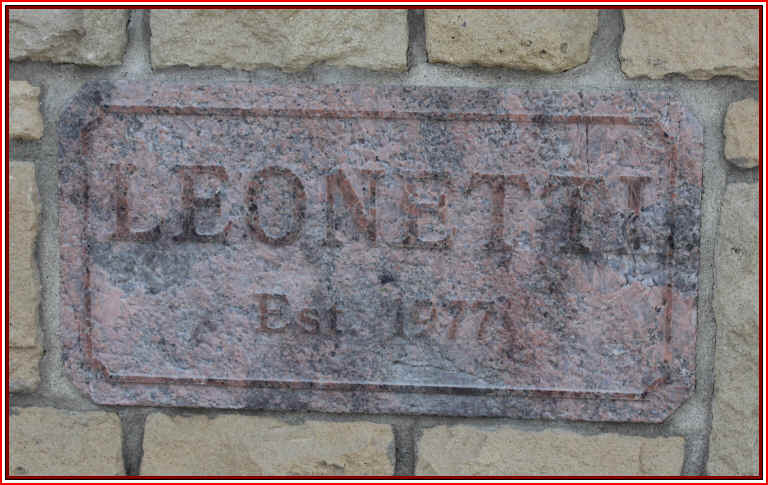 Leonetti is one of the pioneering wineries in Washington State's Walla Walla Valley. This is in Southeast Washington State and the region started slowly...a sort of Middle-of-Nowhere venue that's now a major wine destination. Leonetti is owned by the Figgins family and they made some stellar wines early on. They still have a great reputation and are highly-regarded, though these days they're not the only game in town. Gary Figgins' son Chris is now running the show and he's changed the winemaking somewhat. We find today's wines to be a bit less flashy than early on. He's changed the oak aging, no longer using American oak, having gone to 100% French barrels and some larger oak vats. As a result the showy, cedary notes of the early days are not as pronounced. The 2016 is their most recent release. It goes for about $110 these days. Winemaker Mia Klein has quite a following for her wines. She's associated with Fisher Vineyards in the Mayacamas Mountains, as well as having on her rsum wineries such as Dalla Valle, Etude and Araujo's "Eisele Vineyard". Her own label is called Selene and Merlot is the flagship wine. She sells most of it to restaurants, so it's not something that's easy to find. The fruit comes from a vineyard in Calistoga and one in St. Helena. Klein manages to capture a nice berry/plum character in the wine. Despite using a significant percentage of new French oak cooperage to mature the wine, you won't find this to be particularly oaky. 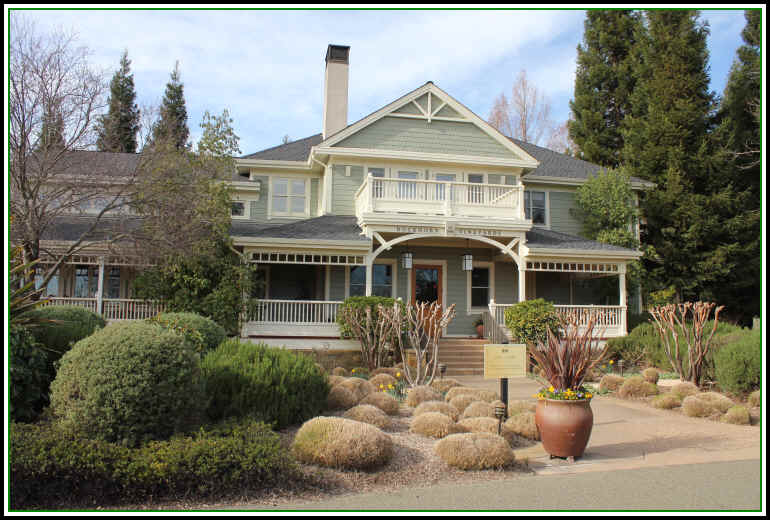 The Pahlmeyer name is well known as the home of "celebrity" winemakers. The place is owned by former lawyer, Jayson Pahlmeyer. I believe 1986 was Pahlmeyer's first vintage, with his wine having been made in the early days by Randy Dunn. The second celebrity winemaker was Helen Turley, but she, for one reason or another, moves on eventually and today the wines are made by the soon-to-be-famous Erin Green (though she's already famous amongst Napa Valley winemaking circles). Merlot from this property is rather huge. They get fruit from various locations in Napa and blend in a tiny bit of Cabernet. The wine spends about 20 months in new French oak and it's a full-throttle, pedal-to-the-metal Napa red. Only a few bottles are available. The 2014 has 1% Cabernet, 4% Petit Verdot and 2% Malbec along with a lot of that showy oak...It is a more complex wine than most Cabernets, frankly. The Gainey family has owned a fair chunk of turf in Santa Barbara for many years. I think they started in the 1960s with cattle ranching and farming and the winery came into being in the mid-1980s. Rick Longoria was their winemaker in the early days, but today the job is handled by John Falcone and Jeff LeBard, with Dan Gainey running the show. We always had found the Gainey wines to be priced a bit ambitiously, but have noticed over the past couple of years that their prices have come down and are actually rather attractive. The 2015 Gainey Merlot comes from their Home Ranch vineyards in the Santa Ynez Valley. It's blended with 3% Cabernet Franc. The wine was in French oak. Some 27% of the cooperage was brand new and we like the cedary, woodsy tones we find in the wine. It's a bit less woodsy and spicy as they seem to have stopped using American oak. This has a lovely fragrance and flavor...smooth, medium-bodied and worth every penny of its $22.50 winery price. We sell it for a bit less. This is a cool little enterprise run by the Ming Dynasty, headed by Mitchell and Jenny Ming. The couple both came to the US from China...She was interested in fashion and clothing and he encouraged her to work in that industry. And did she ever! Ms. Ming worked her way up the ladder at GAP and Old Navy where she made it to the top, having a parking space nearest to the front door at corporate headquarters. Dad has long been interested in wine and he'd drag the family on trips to "wine country." At one point he'd taken them all up to a site on the Sonoma side of Mount Veeder and shortly after that, they were planting grape vines. These days they have vineyards planted on the property in both the Mount Veeder appellation and Moon Mountain appellation. On a clear day, there's the little burg of Glen Ellen down below and perhaps the Pacific Ocean off in the distance. On the other side, you might see the towns of Oakville and Rutherford. We've been fans of their 2009 Merlot. They made a mere 400 cases of this wine. Sonoma Valley appellation and it's 95% Merlot with 5% Cabernet Sauvignon. Twenty-one months in French oak and half the barrels and yet the wine doesn't come across with a lot of wood. We like the dark fruit notes here and it's fairly supple on the palate, so drinking it now is sensible. Tamarack started out as a micro-winery in 1998 by a guy who had been in the wholesale wine biz before taking a job as a sommelier and wine shop staffer. Ron Coleman and his wife rented a building at an old military airport...a firehouse. The goal was to make good wines at sensible prices and we've long been fans of that notion and fans of the Coleman's wines. Coleman recently sold the winery to a company called "Vintage Wine Estates" which also owns the Layer Cake and Cherry Pie brands, along with the sophomoric label "If You See Kay." They have a large portfolio of brands in their stable, with Girard, Clos Pegase, Swanson and B.R. Cohn amongst the line-up. We're curious to see if they can maintain the quality as well as the quality/price ratio established by Coleman. 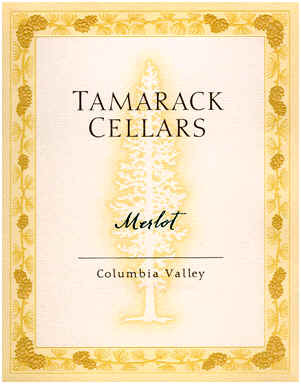 The winery is located in Walla Walla, Washington and their Merlot carries the Columbia Valley appellation. It comes from 7 vineyard sites, including a bit of Walla Walla fruit. The 2014 sees 3% Cabernet Franc, 3% Petit Verdot and 12% Cabernet Sauvignon in the blend. It's matured in a variety of woods, mostly American oak, but some French (30%)...no Hungarian this vintage. About 55% of the barrels are brand new. This is the sort of Merlot which, had it been made in Napa, would set you back at least double the cost of this wine. It's a supple, fairly smooth red and pairing it with red meats will make it taste even more silky. We recall a fellow named Frank Woods first stopping by the shop to have us taste his new Sonoma County wines. Mr. Woods (Monsieur du Bois in French) was a former marketing whiz for some company like Procter & Gamble. Woods started with a vineyard, then had wine made for him before finally building his own place. He told me once that they decided to make a wine for immediate drinking since his market research showed that most people open a bottle of wine within 90 days of buying it. "Why make a wine that needs five or ten years of aging if people are going to drink it now?" he asked. 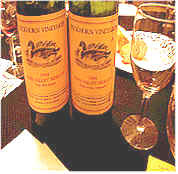 The other bit of method to Woods' madness was to offer his Merlot packaged with a blue label and an electric blue foil capsule. 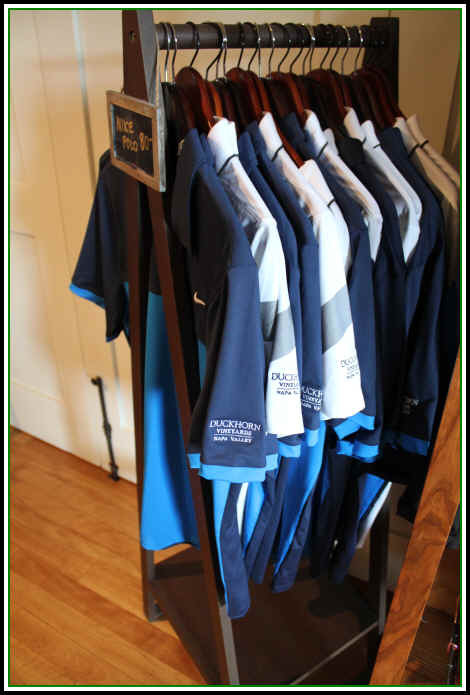 "Marketing studies show women are magnetically attracted to the electric blue. Since many shop for food in the grocery store, we wanted a package which would get their attention." Mr. Woods ended up cashing out the winery in the late 1980s, selling the brand to the Hiram Walker drinks firm. The focus of this place still features wines that are more market-driven than enological artistry. The wines from this place are known in the trade as "Clos du Blah," as the wines tend to be rather bland and simple. We finally stopped carry this as it's not a wine we recommend and even the few folks who were buying it finally discovered other wines in the shop which have far more character. 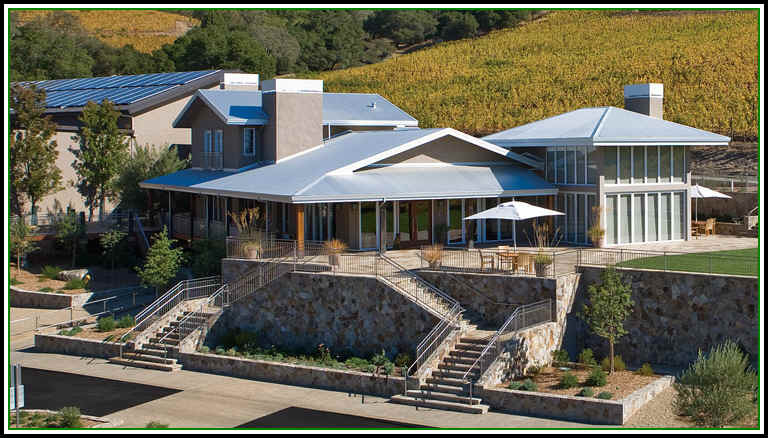 The Cakebread family has gained quite a following for its wines over the past couple of decades. 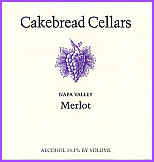 Cakebread Merlot is a fairly deep wine, showing dark fruit notes and a whiff of wood. It's ready to drink now if you're pairing it with something substantial in the red meat department.